Martyn Hilbert's Railway Photography - Branch Lines - Class 33, 33107 Weymouth Harbour Tramway. Class 33, 33107 Weymouth Harbour Tramway. 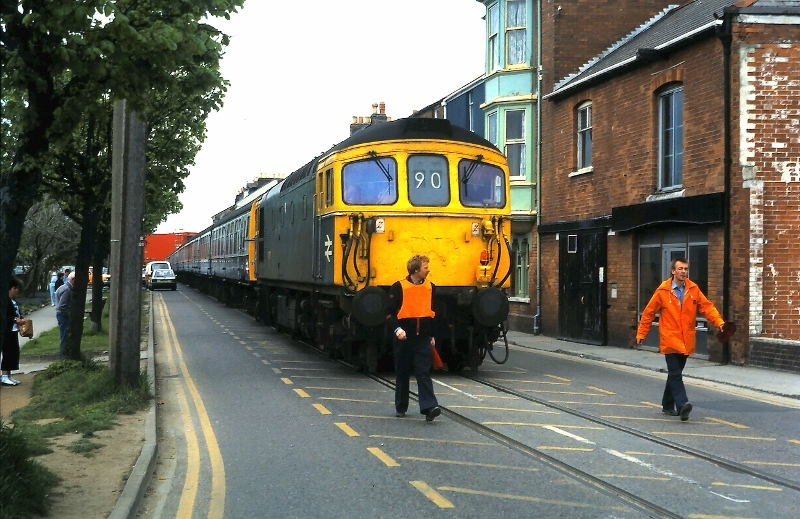 Complete with two flagmen and with a flashing light attached to the cab front, 33107 makes its way along Commercial Road on the Weymouth Tramway, on the 30th May 1986. The train was formed of two 4-TC sets, 406 & 428.